Diversity and inclusion are valued at Red Hat. We believe the more diverse we are, the better we can innovate, serve our customers, and contribute to the open source communities in which we participate. In that spirit of openness, diversity and inclusion, we are excited to announce that we are sponsoring a mural in downtown Raleigh, just two blocks from our headquarters. 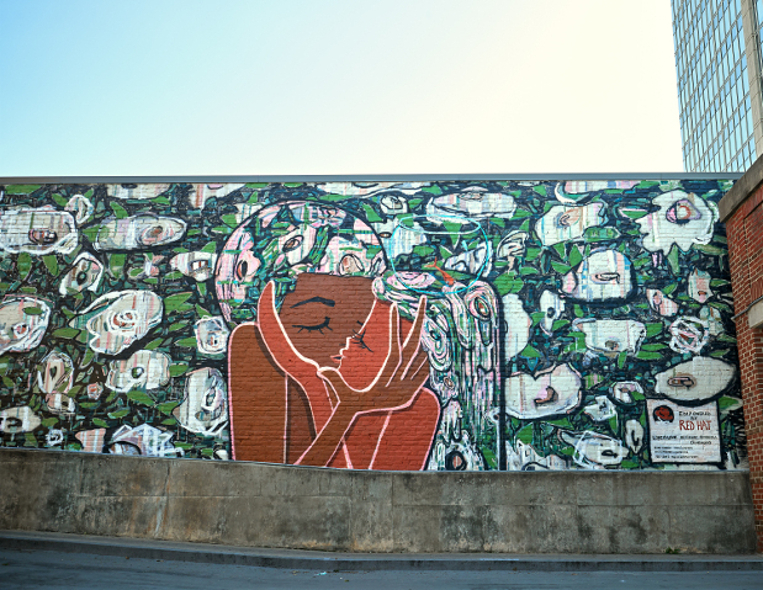 The mural titled, "Open to All," is the creation of artist Casey O’Connell, a California-based artist whose work has appeared in the New York Times, New American Paintings and Juxtapoz Magazine. Behind the piece is a simple message: love should be open to all. 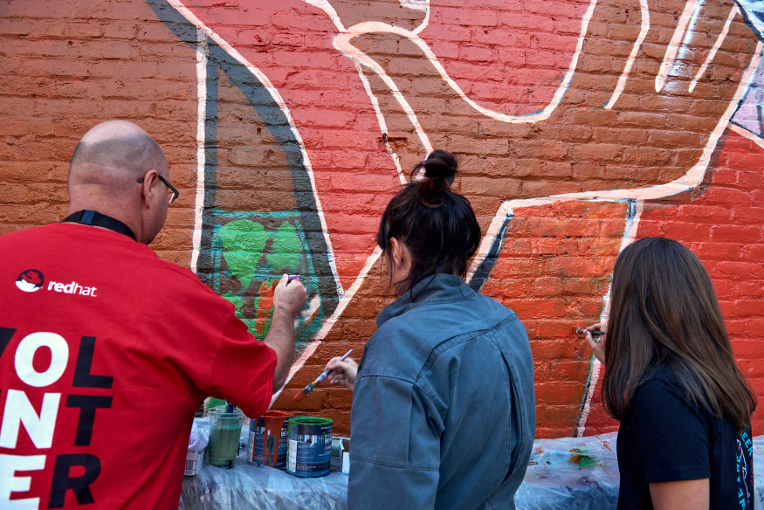 Putting our own touch on the mural, several Red Hatters including president and CEO, Jim Whitehurst, joined in the creative process and helped paint the scene. Currently, the plan is for the mural to remain as part of the Raleigh landscape for an indefinite period of time. Following the completion, a framed print of the finished mural and images from the collaboration process will be on display in the Red Hat Open Gallery, in the lobby of our headquarters. Open source and art have more in common than you might think. Just as art has been known to break down barriers and challenge how people think, open source can teach us about building things without limitations and forming new communities without boundaries. Red Hat’s perspective on open source and the world of art is further explored in Open Source Stories, a storytelling initiative about people who build out in the open, sharing their work for others to build on, modify and improve. 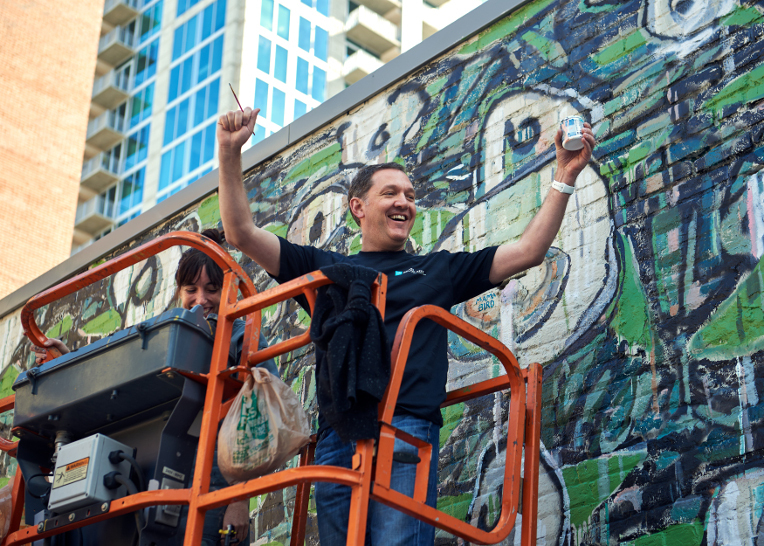 Open Source Stories aims to catalyze conversation and change by documenting places such as The Tate Exchange and Raleigh’s own SparkCon and their efforts to bring open principles to art.